Right on the heels of Kim Kardashian’s announcement that she will soon release a coffee table book of her infamous Instagram self-portraits, the youngest Jenners decided to one up their ultra-famous sis: Kendall and Kylie are releasing selfie T shirts as an addition to their incredibly popular PacSun line. These selftees (if I may) are a limited-edition add to the collection, which has been a Kardashian-fan favorite since it’s launch in early 2013. “We’re so excited to surprise fans with our new Selfie Tees. This was a fun project that we worked on with PacSun and can’t wait to see the first-ever graphics hit our collection,” the sisters told US Weekly. Just when I thought it couldn’t possibly get anymore conceited than Kim’s 352 page book (titled Selfish, because, duh), the clan proved me wrong. Sorry, my mistake to underestimate the Kardashians. But seriously, THREE HUNDRED AND FIFTY-TWO. PAGES. OF SELFIES. Pretty sure there aren’t 352 pictures of me in existence throughout my entire 21 years of life, let alone enough to edit down into a flawless book. But alas, I digress. Back to Kendall and Kylie. The pair's collaboration with PacSun this season has led to these black and white graphic tees, featuring Kylie and Kendell’s most-liked Instagram pics. Like this glam shot taken from Kylie’s Instagram back in April. 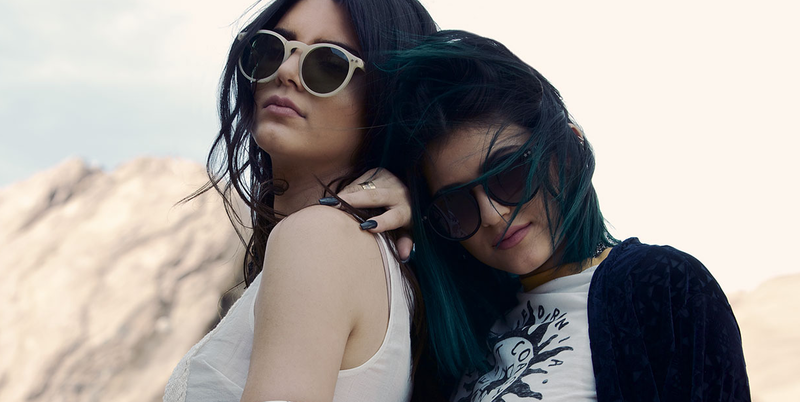 But luckily, you can get your hands on Kylie and Kendall’s faces now! The t-shirts are due to hit virtual shelves today on September 5, retailing for $24.95, and are expected to arrive in PacSun stores next week. And while you're at it, check out the rest of Jenners' fall 2014 line.